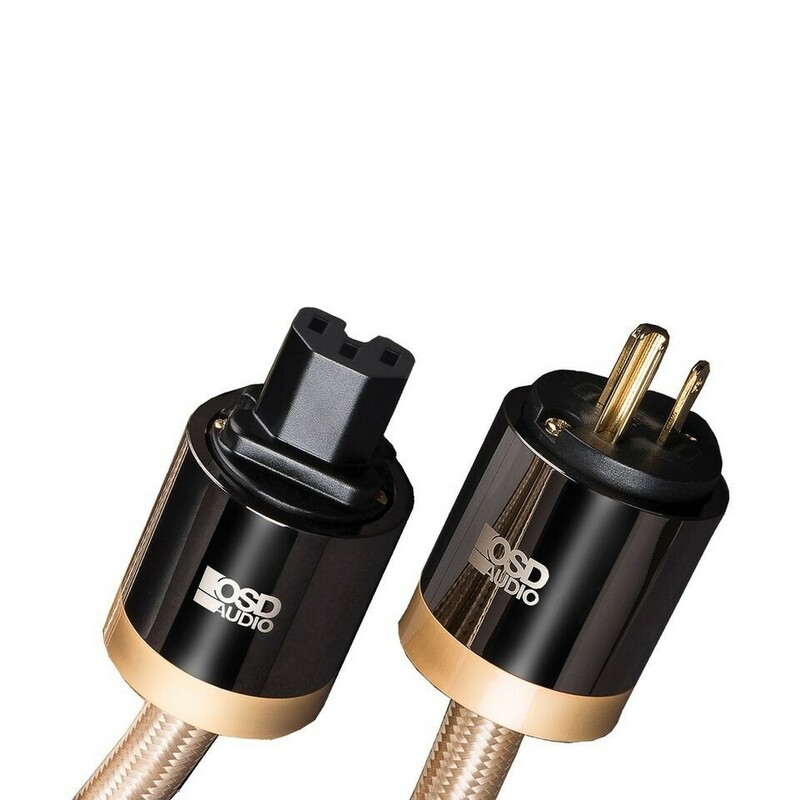 AUDIOPHILE-GRADE AC POWER CABLE: Audiophile-grade 14-gauge AC power cables replace stock power cords and can result in a noticeable improvement in sound quality. ENHANCES THE AUDIO EXPERIENCE: Maximizes the audio experience by enhancing the performance of powered subwoofers, CD players, pre-amps, DVD players, amplifiers, and other audio equipment. PURE COPPER CONDUCTORS FOR SIGNAL INTEGRITY: Includes 99.99% 99.99% copper dual center conductors (three bundles into one 15.0mm outer diameter) for maximum conductivity. 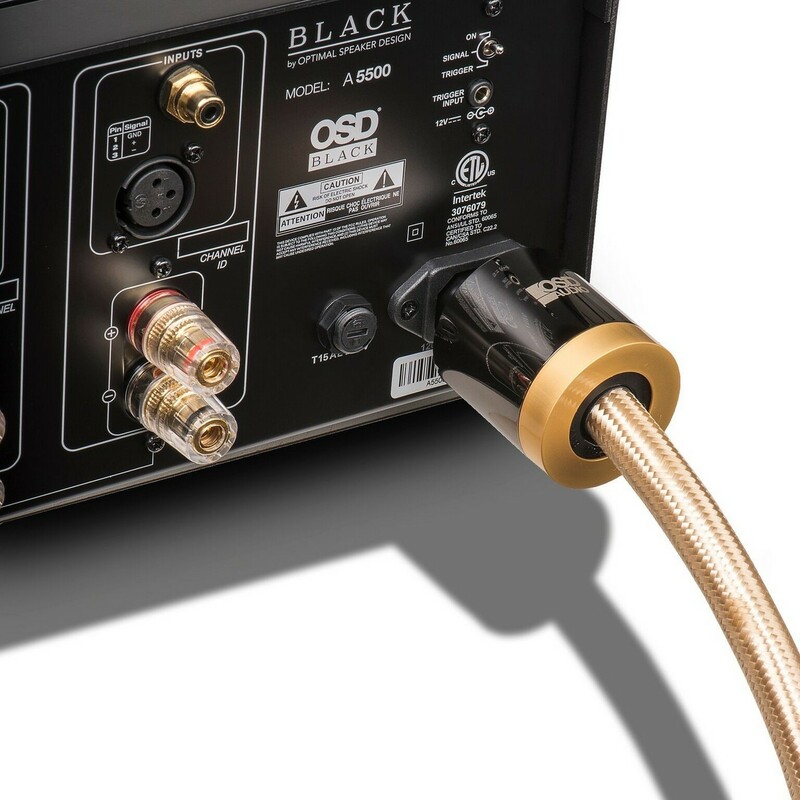 Stock power cords are often the weakest link in the audio system chain and can allow noise to corrupt sound quality because they are not adequately shielded. Aurum’s Audiophile-grade 14-gauge AC power cables replace stock power cords and can result in a noticeable improvement in sound quality and a wider level of dynamics. 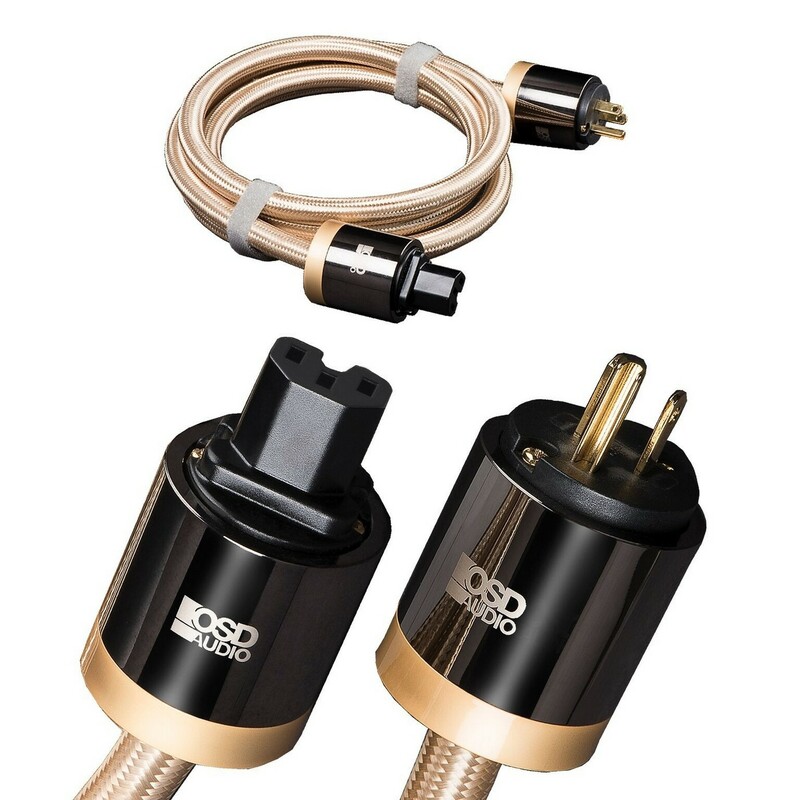 These heavy-duty but flexible 3-prong AC power cords are constructed of three bundled conductors made of 99.99% pure copper, so your equipment receives a clean and steady stream of electrical power. 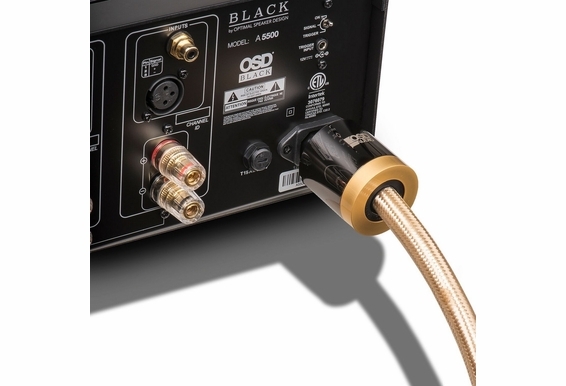 Designed to enhance the performance of powered subwoofers, CD players, pre-amps, DVD players, amplifiers and other audio components, the heavy-duty aluminum foil shield offers excellent protection against noise and interference while custom tooled gold/gun metal-plated connectors ensure an exceptional transfer. 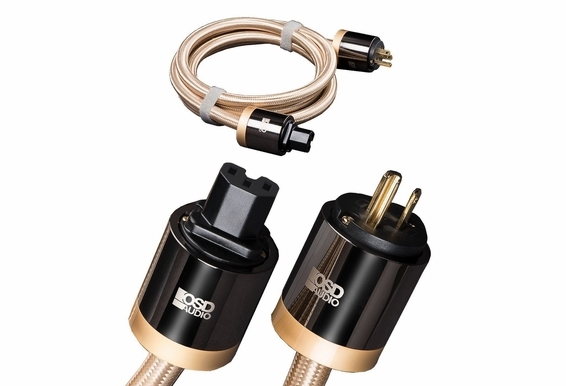 These 14-gauge power cords also include a flexible braided golden cotton sleeve that adds a polished look, especially on systems where the back is visible. Aurum’s high-end AC power cords cables contain 99.99% copper dual center conductors (three bundles into one 15.0mm outer diameter) for maximum conductivity. Includes a flexible braided gold cotton outer jacket and a heavy-duty aluminum foil shield that blocks outside EMI and EMF noise and interference. 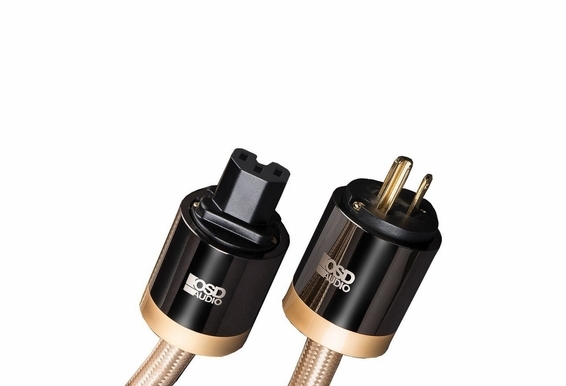 These power cords also use proprietary custom-tooled gold/gun metal-plated connectors for excellent conductivity. Aurum makes cables that do what we say they will, but we don’t exaggerate our claims or our price. The integrity of each cable is carefully tested throughout our manufacturing process, so every Aurum cable delivers on performance or you can return it with no questions asked. Sold as a single cable and available in 1m, 3m, 2m, 3m 5m lengths, Aurum high-end AC power cables also include two Velcro ties for easy cable management and cleaner cable runs.